Alcohol companies are without question, the best at activating around a thematic association, without actually having to purchase any imagery rights to do so. 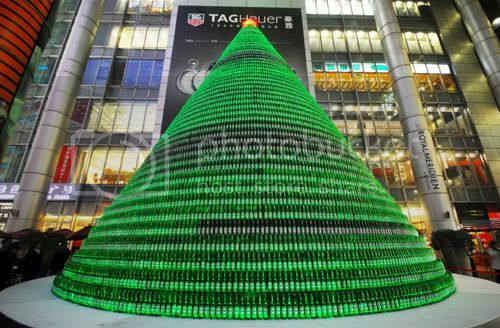 In this case, it's Heineken creating Christmas trees out of over a 1,000 Heineken bottles. The first from Shanghai, the second from Beijing (don't ask us the tie-in to bad country music). Apparently, Heineken has taken this same act to several cities in China over the past few years. Like many things in life, it's the day after that will get ya. Let's hope the take down doesn't resemble a Heineken-infused bout of Jenga.